This freebie has combined the whimsical with the spiritual for a unique blend of study. 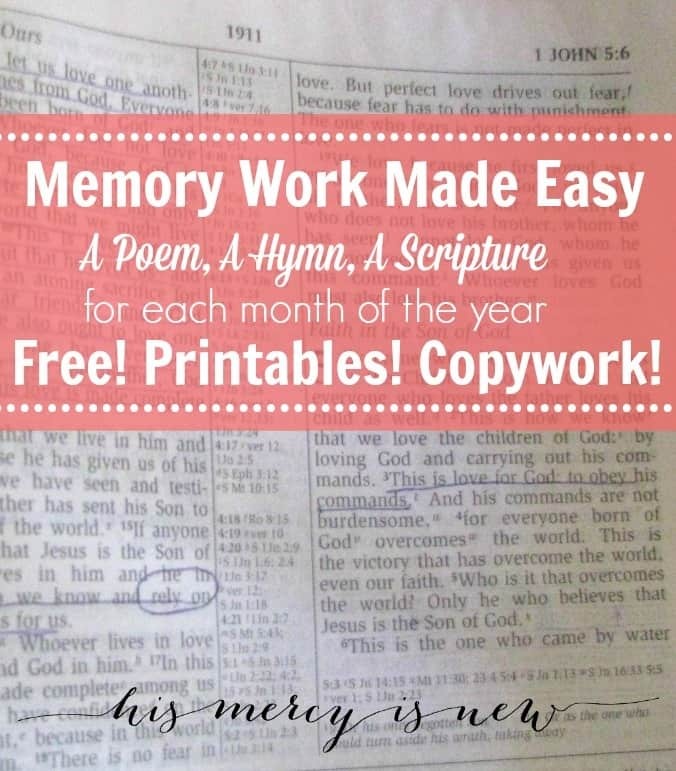 It features Scripture notebooking pages for copywork, a printable poem, and a hymn. Videos are available for each month that will bring the information to life for your child! What a beautiful assembly, and you can start your year off by downloading the August printables first then proceeding from there for your school year.